On Thursday, March 12, a group of Truth players and alumni, led by Program Director Adam Daroff, Coach Eddie Hunt, and HLL Board Member Evan Vosburgh, departed for the program’s annual trip to the University of Virginia. For the first time, they stayed with host families from St. Anne’s-Belfield School. On Friday, the boys spent the morning at the UVA Medical Center for breakfast and a discussion of pursuing a medical career with Dr. Rick Shannon, Executive Vice President of Health Affairs, before touring the facilities. The group then met with UVA Medical Center CEO Pamela-Sutton Wallace and Prof. Michael Williams to learn about the importance of minorities pursuing careers in health care. On Friday afternoon, the boys had lunch while watching the UVA Lacrosse practice. At the end of practice, Coach Dom Starsia welcomed the group in to closing huddle and orchestrated a joint UVA-HLL cheer. The boys then played catch with UVA players before heading to the locker room for autographs, photos, and UVA gear! 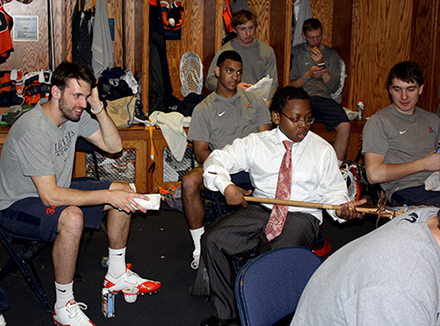 After their time with the UVA Lacrosse team, Howard Hoege , a former UVA Law School professor and founder of the Veterans for National Service Foundation, led the boys on a campus tour and spoke at great length about the school before facillitating a discussion about leadership and persistence. On Friday evening, the boys cheered on their new friends from St. Anne’s at their varsity lacrosse game and were treated to dinner with their host families. 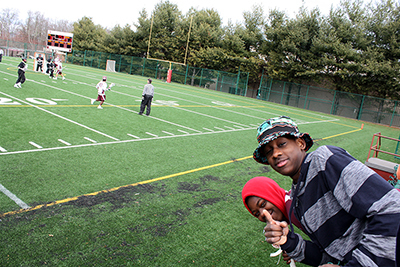 On Saturday, the St. Anne’s coaches and players led a lacrosse clinic for HLL. 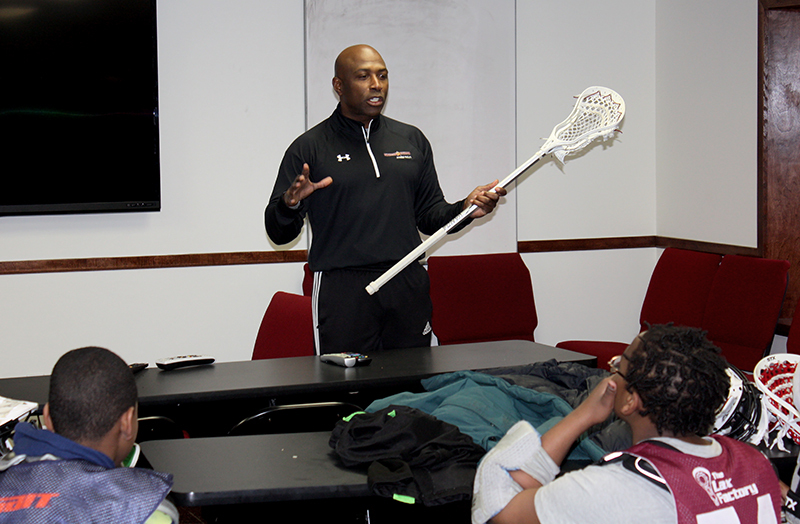 Following the clinic, Michael Woodfolk , a St. Anne’s parent and board member, as well as the VP of the UVA Darden Business School, spoke to the boys about the importance of lacrosse in his life and the academic and travel opportunities it provided for him. 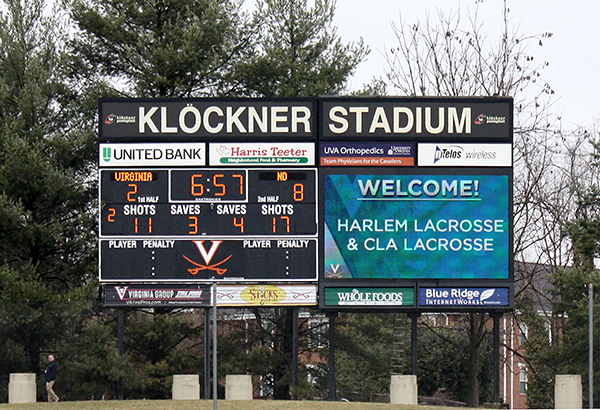 Finally, the group headed over to Klockner stadium to watch UVA play Notre Dame. After watching the first half, the boys took the field to play at halftime. The boys were introduced to the crowd and were cheered on loudly by the crowd of 2,200. Following their game, they headed home, already looking forward to next year’s visit. 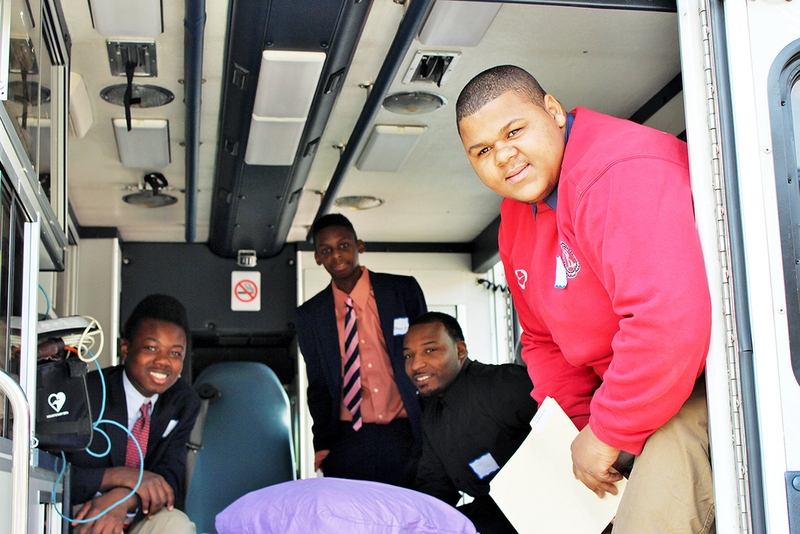 After playing, the group loaded back onto the bus and returned home Saturday night. The trip featured a great balance of academics, leadership, and lacrosse, and the boys had the opportunity to stay with fantastic host families from St. Anne's, who HLL would like to thank for their hospitality. This year’s trip was a great success and HLL looks forward to continuing its strong relationship with UVA, as well as its new one with St. Anne's!